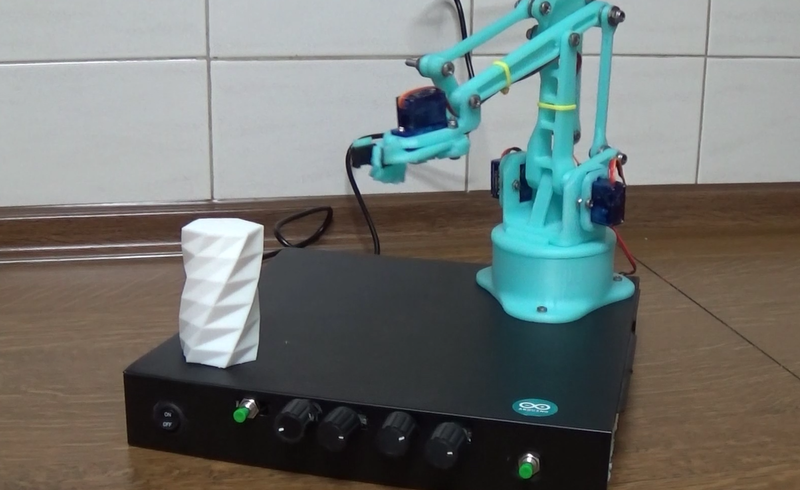 If you have a 3D printer then... you must try to build one of this robotic arm-grab toy! The robotic arm can learn what to do on every start up. 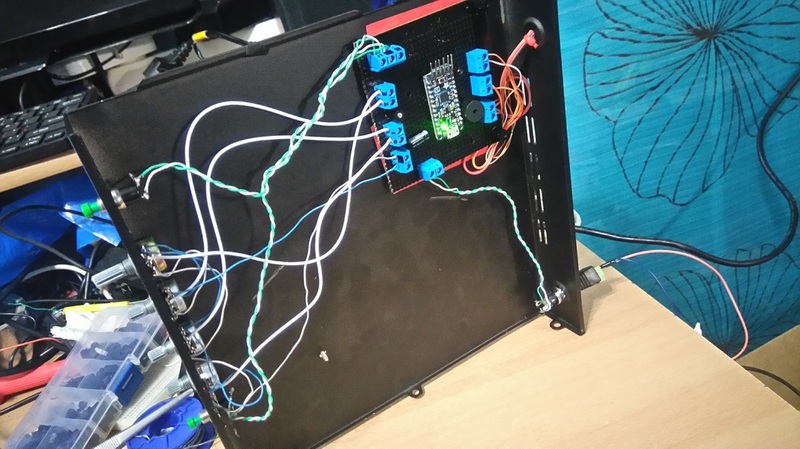 Use the potentiometers (one per servo) and the "teach" button and make your arm to grab.. everything! In this tutorial you will find the part list, circuit connections, Arduino code and of course 3D files of this amazing toy. Ours Arduino Robotic Arm in action! Tip: You can use any Arduino board! Here you will find all 3D - stl files for the EEZYbotARM. 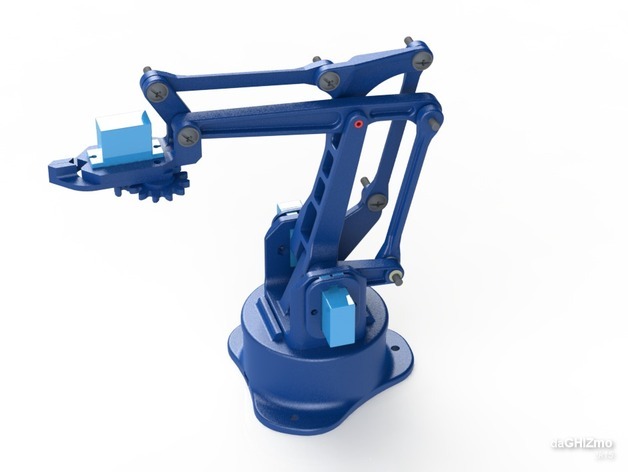 As I said before, this amazing robotic arm designed by daGHIZmo. He also wrote a step-by-step assembly guide that you can find at Instructables.com, just click here. If you want to disable the home position of your arm, just comment out the lines with "goHome();" command. Note: You will need to change the min/max values for every servos to meet your setup. //Max and Min values for servos ! Change them to meet your setup ! int stepSpeed = 20; //Change this to fo faster! Great news! 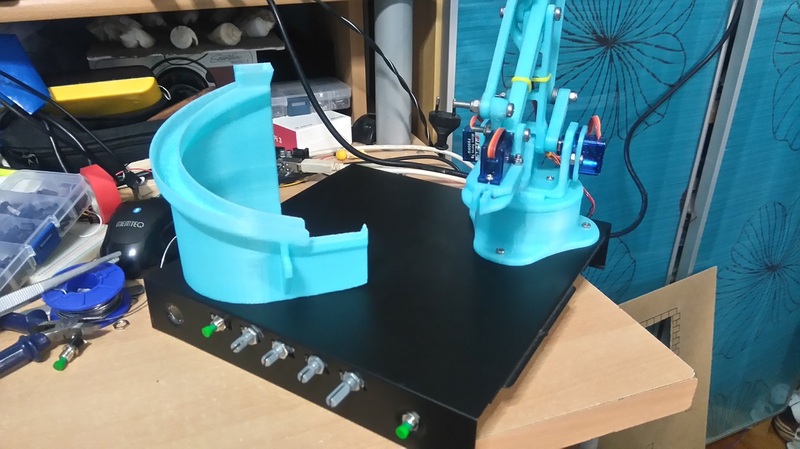 You have successfully complete this guide and now you have your own 3D printed Arduino Robotic Arm! Move the arm in a position and press the teach button to save it. Make a path, when you are ready, press the start button to test it! If it succeed, you can repeat by pressing the start button! If you want to start from the beginning just power off/on the Arduino from switch.